let say you have 1 pc and 2 Laptop.that all machine have wifi cards. and only one wired network access is available. 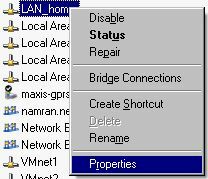 we will setup the PC as Ad-Hoc access point ..
the pc connect to LAN via wired network. 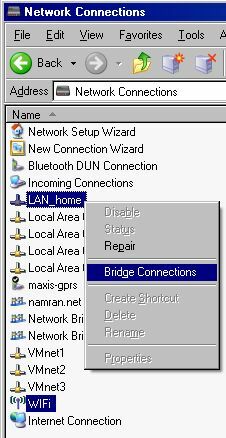 and bridge it with the wifi cards.then..
the other two laptop connect to pc via wifi .. and get through to access LAN and also internet. Let’s start with the pc. 1. one wired network card. 3. one cable to LAN. 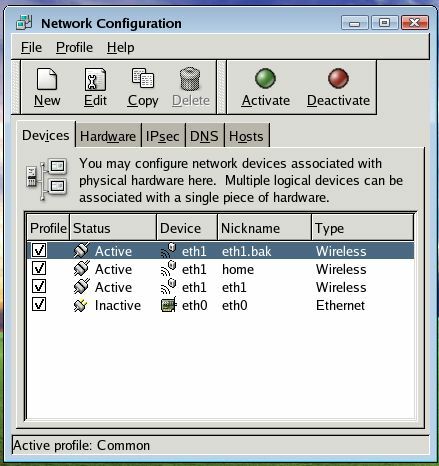 router or switch. 4. window xp ? 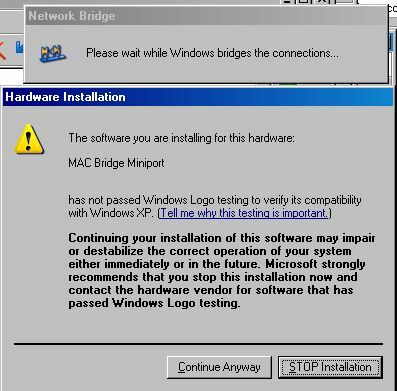 coz i did’nt manage the bridge on linux. 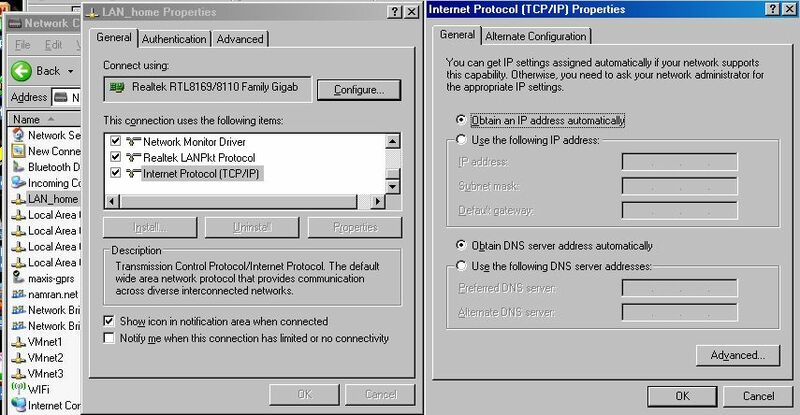 1. setup the wired network card to obtain automatic ip via dhcp. 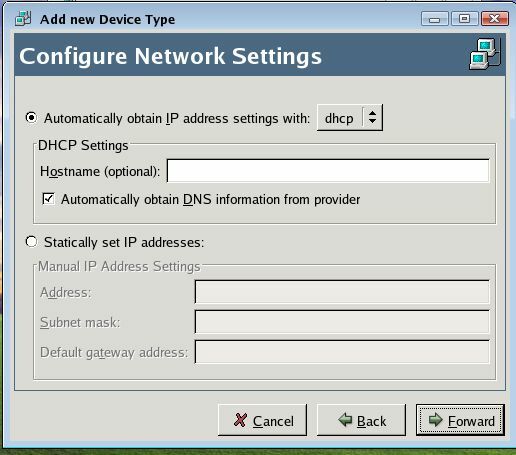 the ip will be provided by streamyx router. 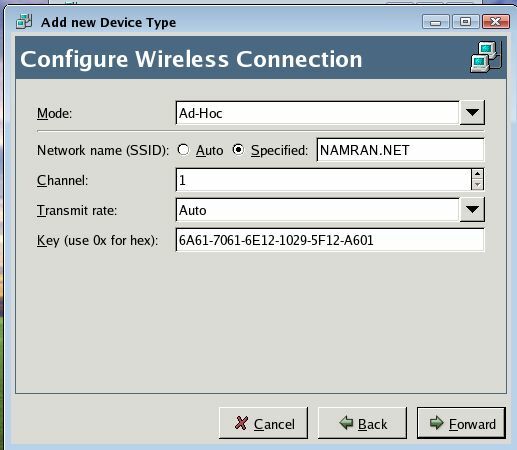 2. setup wifi card as ad-hoc access point. assign keys if you wish to keep away others. 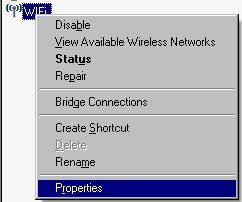 Go to Wireless Network (Tab). Then Click add. the menu below should appear. 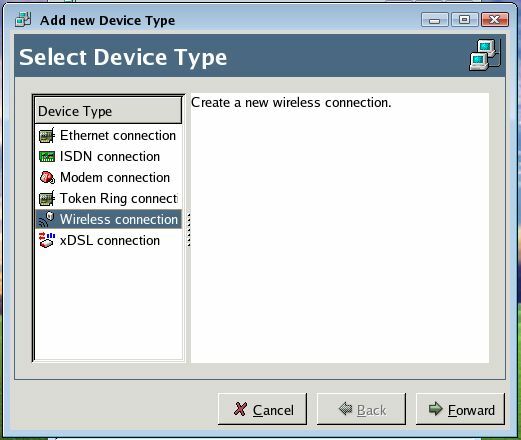 here can set SSID and.. keys. for you ad-hoc AP. click Ok . and close. 3. now should bridge this two. 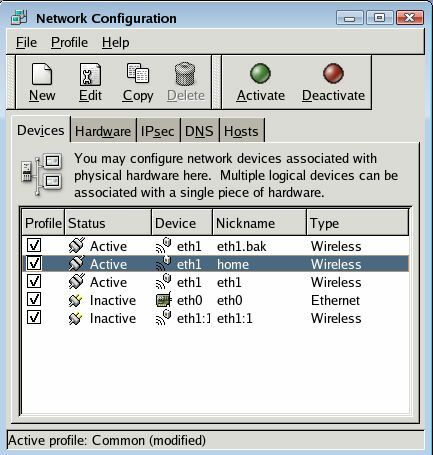 highlight this two network setting. Then should wait for couple of second. wait till it bringing down LAN and bringing it up again.. then to confirm. should spit something like this. then can try ping google.com.my or anything. 4. now we are going to configure for the laptop. Main menu->System Settings -> Network. it may prompt for root / admin password. create new . wireless connection. Acivate it.. and wait till it is up. 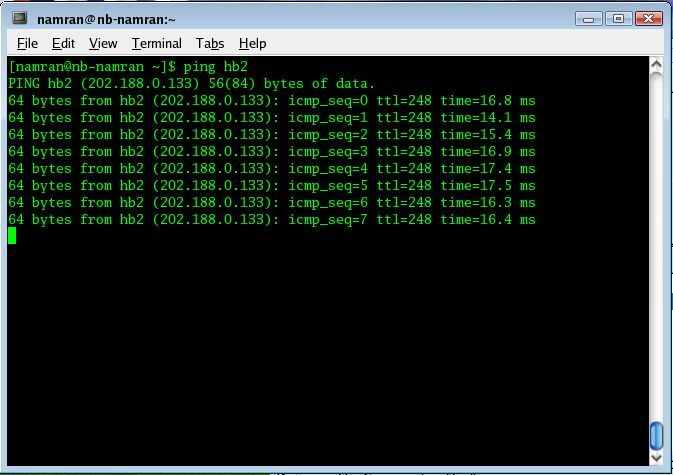 test it.. with a ping to DNS server.